I took my laundry to four places, they all said my laundry weighed between 7 and 10 kilos. IGNORANCE is bliss, I wish I was ignorant. I have been doing my laundry for about 10 years, the weight of my laundry is normally between 3 and 4 kilos or about 6 to 9 pounds. So, when a person says my laundry weighs eight Kilos, I get a little angry. They use this hand held thingy and put the laundry in a bag, weighs them and nothing is ever accurate, no attempt to be fair and accurate. I went to my friends shop, started complaining, and saying, explaining, my laundry does not weigh 8 kilos. Of course, I am complaining about Nepal, this is not so good. 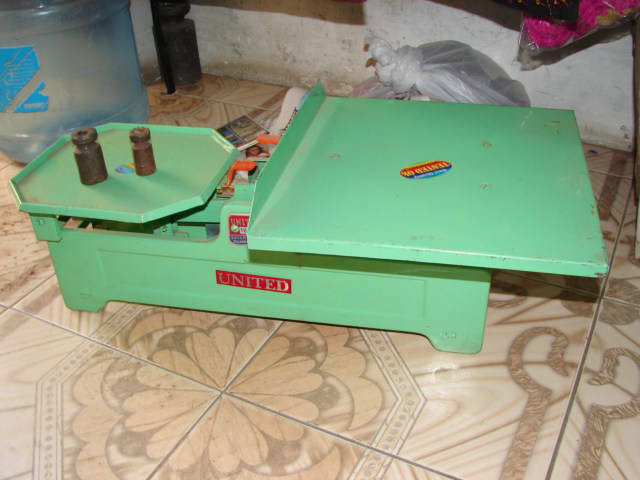 However, he pulls out this nice scales and weighs my laundry. The weight of my laundry was about 3.5 kilos, not the 8 kilos of all the places I entered, he than tells the laundry guy and I pay the correct weight. Now, if I was ignorant, I would just pay, be happy, and not know they all are cheating me, some could say they are not cheating, that the scales are just bad. I disagree, an honest situation would be when some are too light and some are too heavy, these were all double, I could have understood one kilo to much. This is a good scales, not what they normally use, but for you own piece of mind, weigh your clothes very accurately and you can save about 120 US Dollars per year or more. 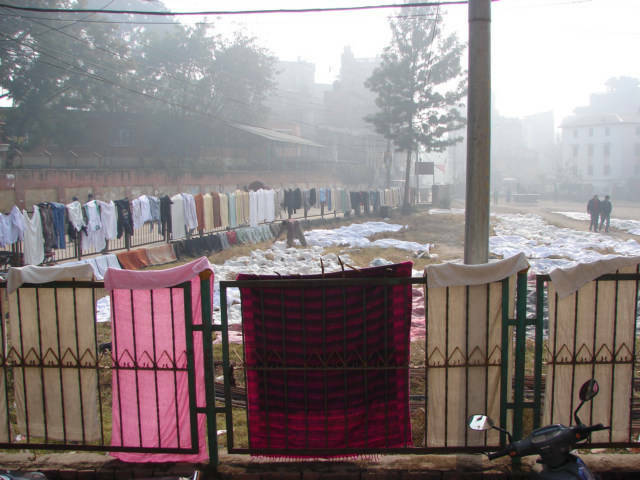 I found a large Laundromat in the city of Kamandu, Nepal. I think this sets a record for the most clothes and hotel sheets hanging on the ground I have seen.